After a day of above freezing temperatures and rain, winter is angry! Temps dropped below freezing to ice over all the puddles, strong winds are blowing the falling and loose snow all over, and driving is near impossible with all the factors combined. Yep, winter is angry and paying us back for enjoying yesterday. Ha ha! 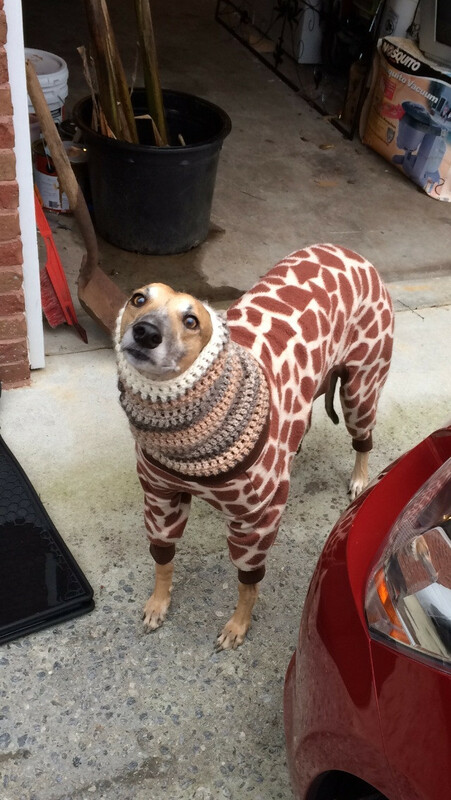 I feel sorry for this dog because he doesn’t look very happy about his warm fashion. I feel for you buddy, I wouldn’t let my human dress me that way either!